I enter the space dressed with a white shirt and bright pants. 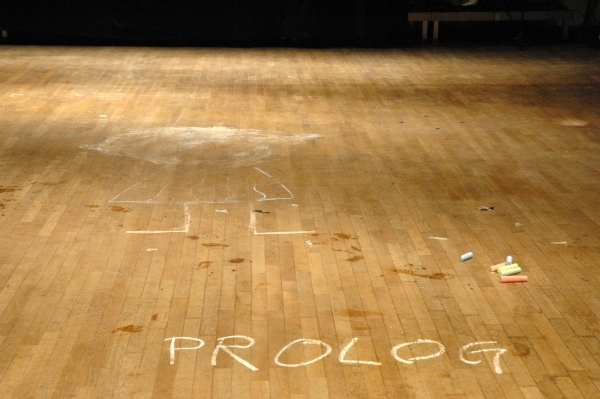 With chalk I write the word "Prolog" on the floor. I spell the word "Illusion" in German and slap myself strongly with the flat hand on my cheek after each letter. 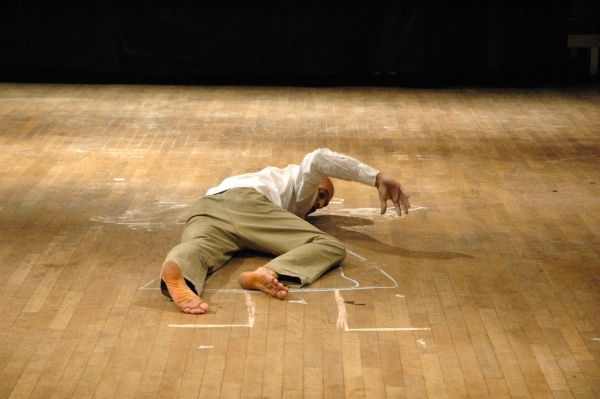 Music starts to play ("Alina" by Arvo Pärt). with chalk and in a childish way I draw the figure of a woman on the floor. I drip rose oil into a big pot of boiling water. With red nail varnish I paint the nails of my right foot. 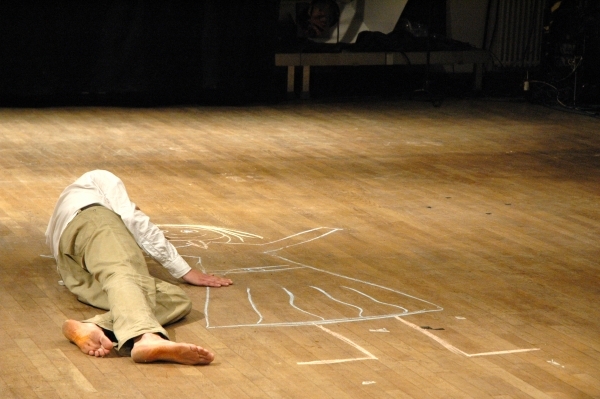 I lay down next to the chalk-woman and start to stroke her, to lift her up and to hug her. I stand up and go to the big pot with the boiling water with the smell of roses. I undress and put my clothes into the pot. With my fingers I take them out again and put the hot clothes back on. The Music stops. 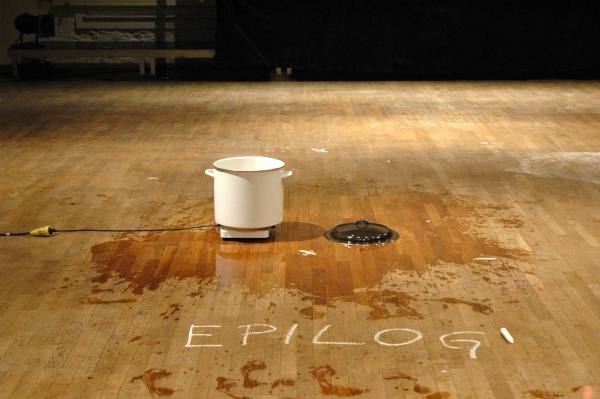 With chalk I am writing the word "Epilog" on the floor. I spell the word "Truth" in English and beat my cheek after each letter, softly this time. I am leaving.